Organica Day Spa is a small boutique beauty, day spa, massage & health spa retreat in Peregian beach offering Infrared Detox Sauna treatments to improve your health & well being, reduce fatigue, rejuvenate & detox cells. WE also offer many different detox treatments including ionic detox foot spa, detox wraps, detox bath treatments, lymphatic massage & other beauty treatments including facials, manicures, pedicures, waxing, massage, reflexology, cellulite treatments, stretch mark treatments. We are 10 min south of Noosa and 5 min north of Coolum Beach on the Sunshine Coast. 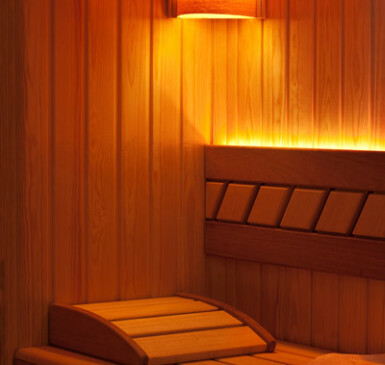 Our infrared sauna is in one of our treatment rooms.We require you to be on time for appointment & to be out of the room either by 1/2 hr or hr as we will have the room booked for other treatments & services. Please make sure your on time other wise time will be shortened if room is booked straight after your treatment. Please bring your own towel for sauna only treatments. If you wish to have a shower after only available in the 50 min sauna. Treatment room is booked out every hour & clients must vacate the room within the hr so doesn’t hold up other clients treatments in that room. If 2 people come together we ask you are mindful & quiet in the sauna room & sauna so you do not disturb the peace of other clients treatments in our other rooms , thank you. We recommend you do a minimum coarse of 10 treatments or more depending on results required to get the maximum results & benefit depending on your health issue. If your sick or have high toxicity 1 daily for 10 days. You may need to monitor the amount of treatments & how often you come in for & what period of time you choose either 25 min or 50 min depending on the conditions you may have if any. We may need to see what works best with your health condition if you have poor health. Infrared Detox Sauna is great detox treatment for compromised health problems, anxiety, chronic fatigue, allergies, acne, burning skin, brain fog, eczema, depression, chemical sensitivities, limes disease, colds or flu, loss of dexterity, memory loss, mood swings, muscle & joint pains, poor concentration. External toxicity of food, air and water always cause internal toxicity of blood, tissues and cellular fluids. These toxic conditions become the breeding grounds for disease and degeneration. Typically our sweat produces 97% water and 3% toxins. Sweat produced from the Infrared detox sauna is 80-85% water and 15-20% toxins. These toxins contain metals such as mercury, lead, cadmium, nickel, copper, sodium, aluminium, pesticides residues, petroleum-based toxins, chloride, fluoride, as well as fat. Infrared detox sauna FIR heat causes these toxins to be released from the cells into the lymph fluid & will exit the body through the sweat. Great for many diseases including limes disease the heat helps draw the limes out & kills the bacteria. Be aware you may not feel well after so make sure you have down time after wards to recover.